Put your projects in an entirely new light with the Baby Lock Solaris. 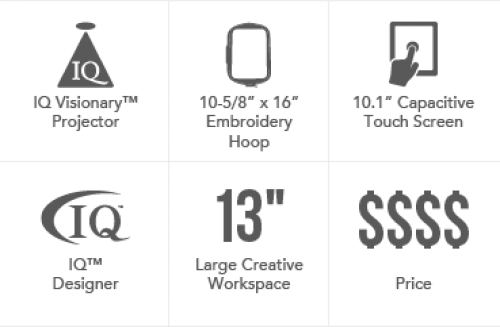 With the revolutionary new IQ Visionary™ Technology, you’ll see how your design looks before you stitch it out! Solaris’ built-in. While in embroidery mode, choose from three different projection backgrounds (black, grey or white) based on fabric choices to see your design clearly. The needle drop laser is displayed in a “T” pattern for even more precise placement. 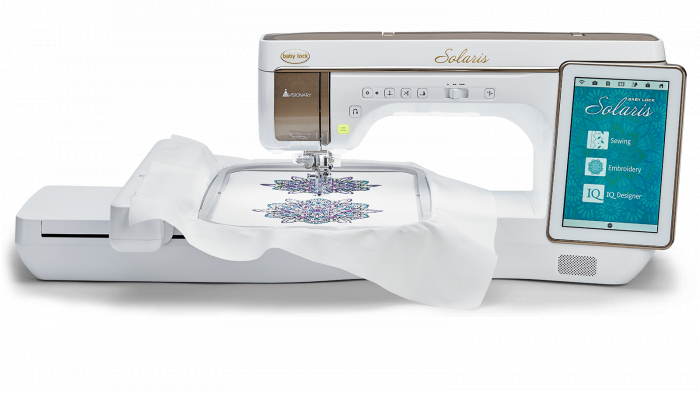 With an unprecedented 13″ to the right of the needle for an impressive 65 square inches of workspace, Solaris gives you plenty of room to comfortably work on larger projects and full-size quilts.